Founded in 2015, Getyoteam is a mobile app development company with around 100+ projects delivered across 15 countries. Getyoteam provides cutting edge mobile app development solutions with focus on providing full-cycle services ranging from UI/UX design to deployment and further evolution, making quality assurance an integral part of development. They have a good experience in IoT, Bluetooth and GPS based mobile apps. Their services also include Web Application Development. 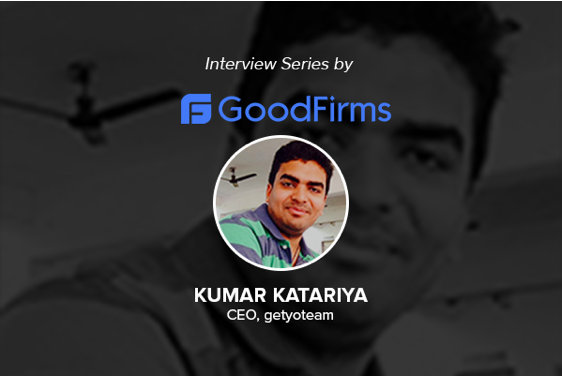 Kunal Katariya, CEO of Getyoteam takes care of the Sales/Marketing of the company, manages revenue, expenses and external financing to maintain the consistent growth of the business along with building an in-house team, managing the brand and day to day activities of the company. He started this company with the vision that his clients should get supreme quality in the products delivered that too in the given timeline. Moreover, their systems are backed by a warranty and extended service contracts. This is the reason for their outstanding track record of delivering 98% of the projects on time and getting pleasing feedback from their clients. No wonder, they are listed among one of the top mobile app development companies in New York on GoodFirms. They excel in taking ideas from their clients and and interpreting, understanding and translating them onto the page. Using their expertise, they make the end result look as if it has come from the client’s imagination. Regarded as masters of design, Getyoteam is also one of the top web design companies in USA. Getyoteam has a team of highly experienced in-house and remote developers, catering to the specific requirements. These teams are also available for working as per client’s time zone. This helps Getyoteam provide dedicated project teams to its clients for long-term collaborations. Transparency of actions and frequent product delivery is assured by them. Getyoteam offers only Native programming for mobile application owing to advantages like faster and better code. Also, with Native programming, integrating new features is quick, easy and native apps are the best at accommodating platform-specific user experiences. Everything related to hardware like gestures, multi-touch events, and geo-location tracking is much easier to implement with native technologies. The CEO of Getyoteam shares more interesting information about Getyoteam, their choice of platform, business model and much more in his detailed interview with GoodFirms.